Ask parents what it is they are looking for in a school and ‘great teachers who love to teach’ and ‘brilliant sports facilities’ will be somewhere in their wish list. In many cases, they are taken as ‘givens’ and therefore are expected. Sport is central to the offering at many schools and fantastic facilities provide the perfect environment for an enhanced sports curriculum to cater for all young people. Fantastic facilities are vital to sporting success. It has long been known that access to facilities and investment in specialists to deliver sport are key factors in sporting success. Many schools are now investing heavily in sports and the first-rate facilities on offer are hugely impressive, often exceeding what is available commercially. Amenities in some schools might include a contemporary landscaped sports complex with an Olympic-sized indoor pool, equestrian centre, floodlit running track, squash courts, fitness centre with state-of-the-art machines and golf course. Schools are also visited regularly by international players who work with children on different techniques, giving them the edge on the pitch. Facilities can have a significant impact on both teacher and student outcomes. For teachers, the teaching environment can affect recruitment, retention, commitment and motivation. For students, school facilities affect their mindset, wellbeing, behaviour, engagement, learning and growth. Facilities really matter. The Sunday Times Northern Independent School of the Year 2018, Bradford Grammar School (BGS), is undergoing a £4m investment in its sports provision. ● An upgrading of the changing facilities and internal reconfiguration of its existing sports hall. But eye-catching and crowd-pleasing infrastructure doesn’t count for much unless supported by a strong vision with the staff to deliver it. 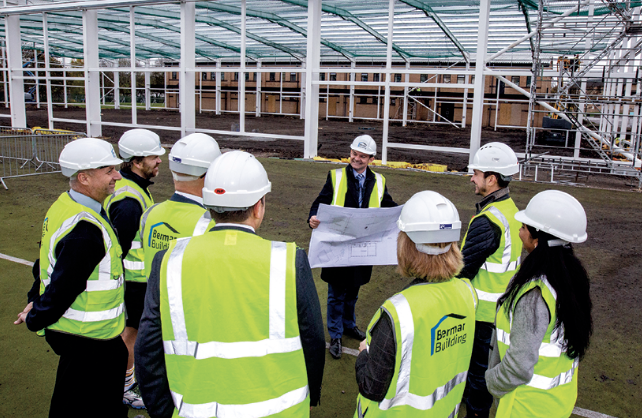 Simon Hinchliffe, head at BGS, makes the point that before the steel, brick, wood and coloured playing surfaces were put in place, their vision for sport and human resources came first. Hinchliffe says that the developments at his school are being realised by a reshaped department that includes more specialist coaches and sports graduates who are working side by side with PE staff and non-specialists. He says: “Additionally, leadership responsibility has been distributed more widely including that for sports qualifications and community outreach. 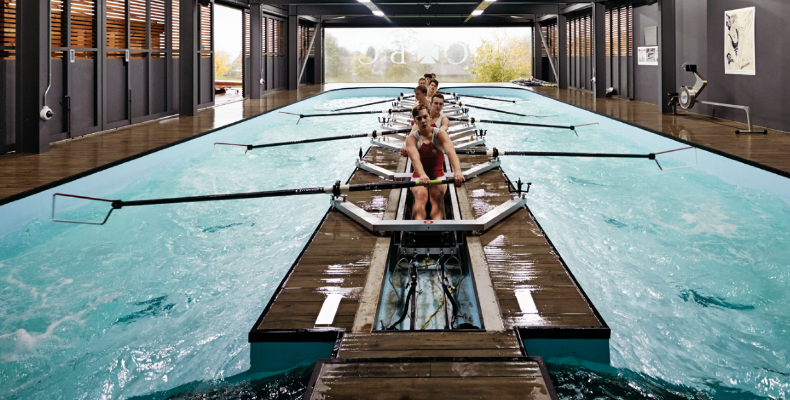 Radley College, an independent boys’ boarding school in Oxfordshire, has opened new sports buildings for its rowing team and spectators, representing a significant facility designed and dedicated solely to the enhancement of the rowing curriculum. The Radley College Rowing Centre provides high-quality, year-round training facilities needed for the school’s rowing teams. It is a naturally ventilated building and contains a state-of-the-art rowing tank (see main picture) that closely mimics actual river conditions, permitting on-site training throughout the year regardless of the weather. The rowing tank is unpowered, comes with a fixed boat and is supported by a purpose-designed strength and fitness suite and a room with 32 ergo trainers. Oundle School is a co-educational boarding and day schools for pupils aged 11–18. Head Sarah Kerr-Dineen fully appreciates the role sports play in school life and why it is vital that all pupils leave school with positive experiences under their belts. She believes that facilities that support the physical education and mental fitness of pupils help to guarantee that sport is part of an education that will enrich pupils’ lives long after they have left school. She says: “Children who love games will entertain themselves for hours with a ball and a patch of ground. However, to settle for basic provision is to miss out on the opportunities for growth and inspiration that top-quality facilities make possible: a wide sports curriculum, appropriate support and high expectations. “Thoughtful design of modern facilities supports sport at a top competitive level whilst catering also for a multitude of sports and leisure activities at all levels. Elite school sport requires strength and conditioning training, with facilities such as performance analysis suites making a significant difference to pupils. High-quality fitness suites are at the heart of any modern sports or leisure centre and support the needs of the many pupils who are not elite sportsmen and women. School sports facilities clearly benefit the school but they are valuable assets that can also serve the local community and act as a revenue generator. Kerr-Dineen appreciates that independent schools also have a duty to the greater community of which they are part. James Wright is commercial director at sports flooring specialist CONICA which supplies solutions for in- and outdoor athletics tracks, multifunctional facilities, sports and multi-purpose halls, playgrounds and tennis courts. He believes that properly designed and specified sporting facilities allow the stars of tomorrow to train more efficiently and more frequently. On top of this, top facilities attract a lot of attention. “Fantastic sports facilities make more of a difference than in simply sporting success terms. Modern, high-tech facilities increase participation and can, if correctly managed, provide an income stream that recovers much of the initial investment cost. Many of the UK’s leading public schools have fantastic facilities that consistently create athletes that go on to achieve professional status, but that also secure significant revenue streams by offering clean, modern and safe facilities for use by the local community. 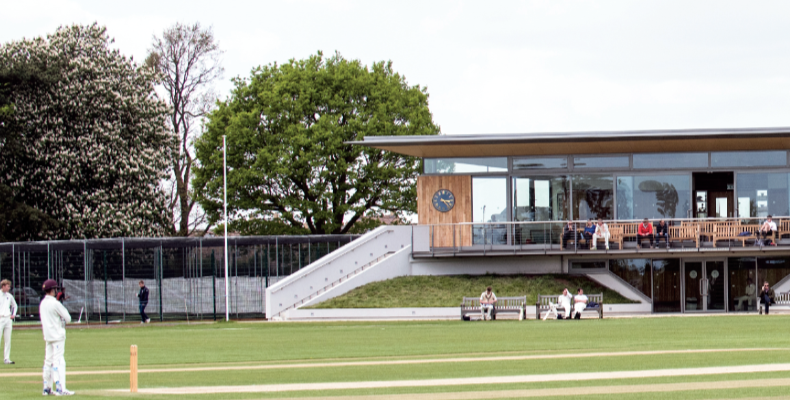 An ideal example is The Tonbridge School whose sports facilities provide a significant revenue stream to the school. Wright also comments on the importance of surfacing, saying: “One of the key elements of sports facility design is the floor surface. The correct choice requires a careful analysis of the type of sport the surface will encounter and the specific requirements of that sport. Many indoor sports halls have point elastic floor surfaces which offer excellent impact absorbance and force reduction making them perfect for racket sports, but the same surface is often unsuitable for high-performance wheelchair sports as the surface will absorb impact at the point it occurs allowing wheels to sink into the surface slowing momentum and making it difficult to turn. The impact of creating a sporting hub for cultivating sporting success should not be underestimated as it can unlock young people’s potential across a community. Independent schools that share sports facilities and coaching expertise with local communities and state schools are able to play a significant part in widening participation and promoting stars of the future. For those that do create a lasting legacy, the positive impact on pupils can be huge but more comprehensive engagement is needed. Education Secretary Damian Hinds wants more independent schools to open up their swimming pools to local state schools and many already do. Many schools are keen to share their facilities and are proud that they are at the heart of sport and leisure provision in the local community. Some also open up their sports centre facilities as all-inclusive membership packages. Fantastic facilities can play a profound role in creating a lifelong passion for sport, activity and promoting the benefits of exercise and healthy living. Independent schools are leading the way.